RICHARD Gere and his Spanish girlfriend Alejandra Silva are well on their way on the eightfold path to Nirvana. The Buddhists have been in Madrid to help highlight the plight of homeless people. The pair were on hand to attend the premiere of Gere’s new film Time Out Of Mind, which tackles the difficult subject. They were attending the event alongside the boss of the homeless charity, the Rais Foundation, for which Silva, from Galicia, is a patron. 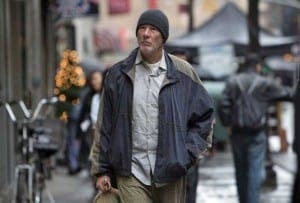 In the film, Gere plays a panhandler on the streets of New York. The Buddhist with a 20 million euro pad in Ibiza according to a show last night on TV. Wasn’t Buddhism supposed to be non-materialistic? lol.